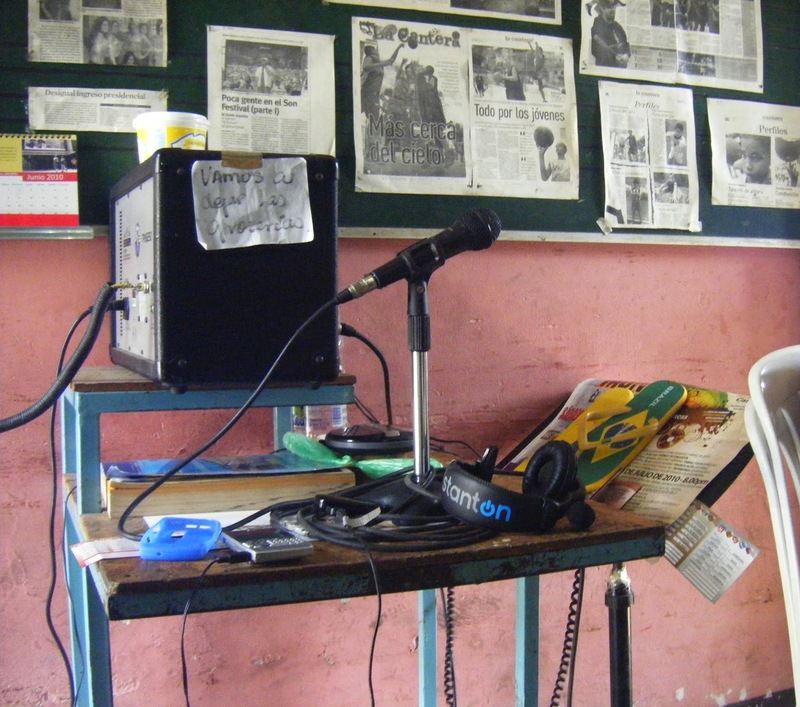 San Agustín Radio, also known as Radio Perola, is a community station where people meet, listen, cry, learn, share jokes and hold discussions. 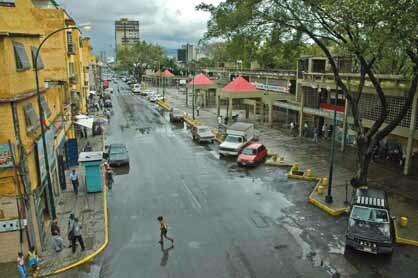 It is a second home for many residents of San Agustín, one of the oldest neighbourhoods in Caracas, Venezuela. Radio Perola was founded 12 years ago by Milagros “La Negra” and Jimmy “Chipi” Fariñas in a small building on a boulevard in San Agustín. The founders do not pay rent, so they can be considered squatters. Their dream is the good of their community. The station occupies approximately 20 square meters, with only a plastic table, a few other pieces of donated furniture, a television, a microphone, a receiver and a few speakers. Next to the building there is a square bordered by a school and a Catholic church. Neighbours sit outside and listen to Radio Perola through speakers placed along the boulevard — the only place where the station has coverage. Chipi recently invited percussionist Gerardo Rosales to give a public workshop and concert aimed at bringing people together to resist violence in the community. The idea was well received, and people of all ages gathered in the boulevard on the day of the event. 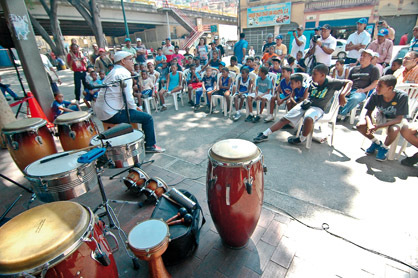 Rosales taught children how to play songs by Tito Puente and Manny Oquendo, two legends of Salsa and Latin Jazz. He told them about his childhood dream of becoming a musician, which inspired him to take lessons in conga, timbales and bongos. “If you have a dream, go for it!” he proclaimed. “You have to study hard. If you do, your dreams can come true.” He mentioned a local school led by Pedrito García, son of a legendary Cuban conga player who lived in San Agustín. Initiatives like this deserve recognition. 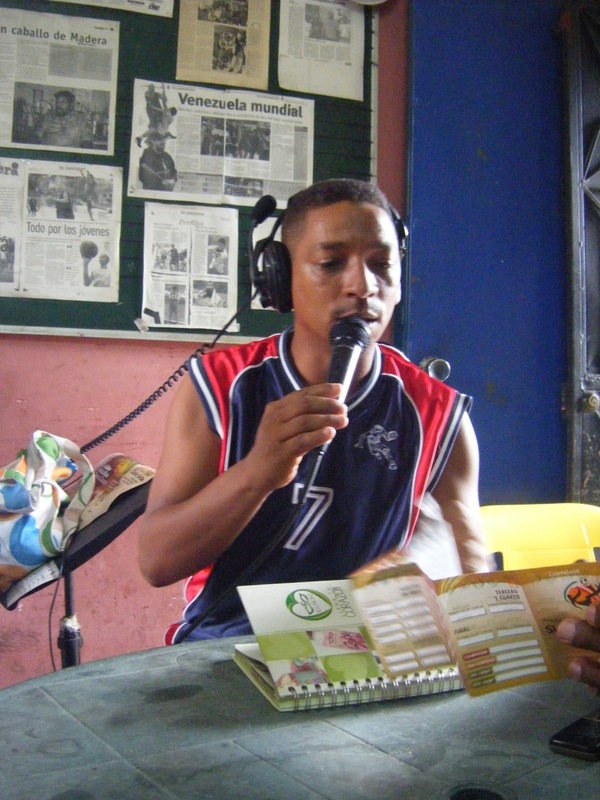 People like La Negra and Chipi — who put their time and effort into community radio without receiving any income — need to be rewarded. Their dream came true, at least for a day, as violence on the boulevard gave way to live music.